Picking up from the first post by several ENTITLE fellows on our experiences in Palestine at the International Conference of Critical Geography, this post focuses on dispossession, appropriation and the erasure of (certain) histories in the city of Jaffa. As with pretty much all movement in Palestine, the learning began the moment the bus started rolling. The most direct route from Ramallah to the city of Jaffa, which used to be a socio-economic center for Palestinians but is now officially part of the city of Tel Aviv, is Road 443, the main highway from Jerusalem to Tel Aviv. Despite the fact that this perfectly paved highway winds through the occupied West Bank, Palestinian vehicles are not allowed to travel on it but rather must snake through poor quality roads that move alongside and underneath Road 443. We were allowed on the Israeli road – alongside around 40,000 Israeli commuters who use it daily – due to the Israeli license plates on the bus and our foreign passports. Further reinforcing the population it “serves”, we noticed how all roadside signs along Road 443 announce only Israeli settlements, despite a plethora of nearby Palestinian villages whose livelihoods used to depend on the people and goods carried on the highway. This cemented dispossession is one of many examples of the strategic expansion of control over Palestinian land by Israel. The Israeli government has classified a majority of roadways in the occupied territories as Area C, as per the Oslo Accords. Area C is an area of land designated as lying under full Israeli control over security, planning and construction, and covers more than 60% of land in the occupied West Bank. It includes all settlements, buffer zones along the border with Israel and its concrete West Bank Barrier; the entire Jordan Valley and the Judean Desert bordering the Dead Sea; and the major transport ways that connect towns, villages and settlements across the occupied West Bank and with Israel. Hence, Road 443. Traveling on it was our first lesson about how Palestinians are made to be out of sight, out of mind – and thus out of existence. 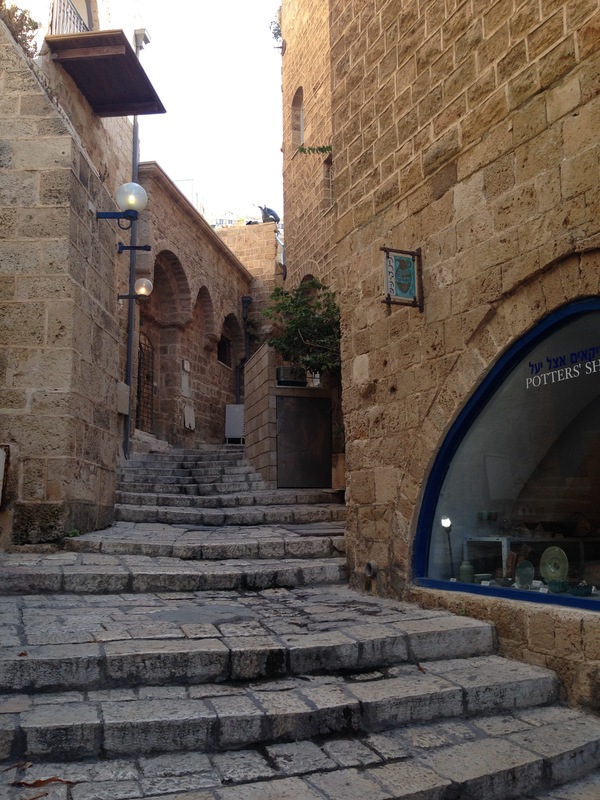 A story that continued as we arrived to Jaffa. While Jaffa is now completely absorbed into the municipality of Tel Aviv, it used to be the most important port in the Middle East and a key social, economic and cultural site in Palestine. If “Jaffa oranges” sound familiar, it is because millions of this variety, developed by Arab Palestinians in the nineteenth century, were shipped around the Mediterranean from Jaffa port. 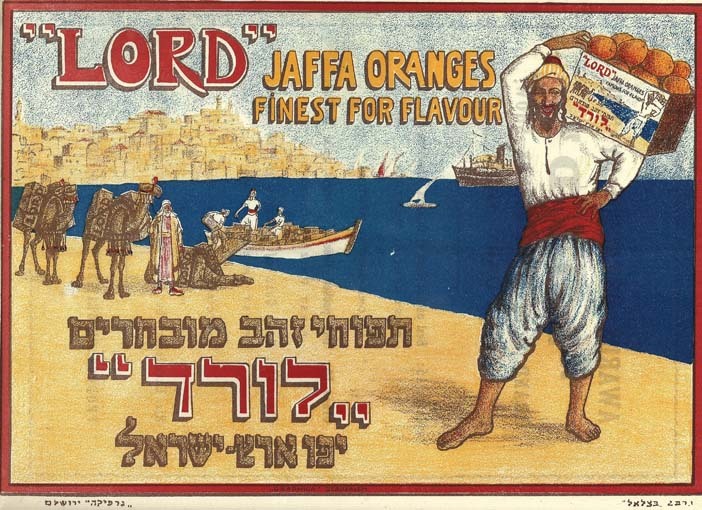 A 1927 poster advertising “Lord” Jaffa oranges. Source: The Palestine Poster Project Archives. In its thousands of year long history, Jaffa has been colonised over twenty times, with the Zionists unleashing the last wave in 1948-1949. 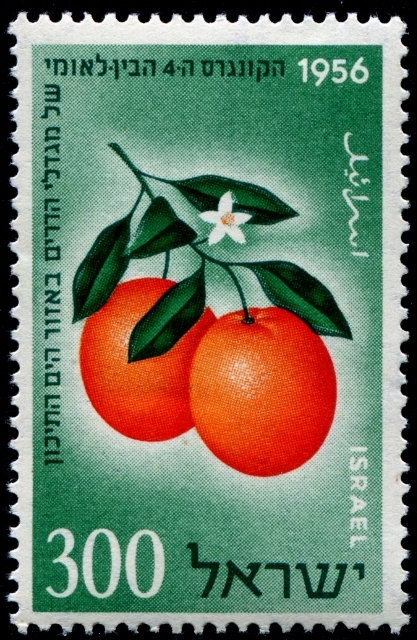 This was when 150,000 Palestinians were displaced from their homes in Jaffa, their properties expropriated by the Israeli state who claimed them as “absentee property.” Incidentally, it was also around this time that Jaffa oranges were appropriated as a symbol of the State of Israel, such as through the image on the stamp below. Jaffa’s “artist colony”. Source: Melissa García. At the same time, it is interesting to see how certain histories are validated and legitimate, such as the Napoleonic siege of Jaffa at the end of the 18th century. Napoleon is an accepted and even favored figure because he issued a letter offering Palestine as a homeland to the Jews under French protection, a plan that failed but was revived by the British several centuries later. 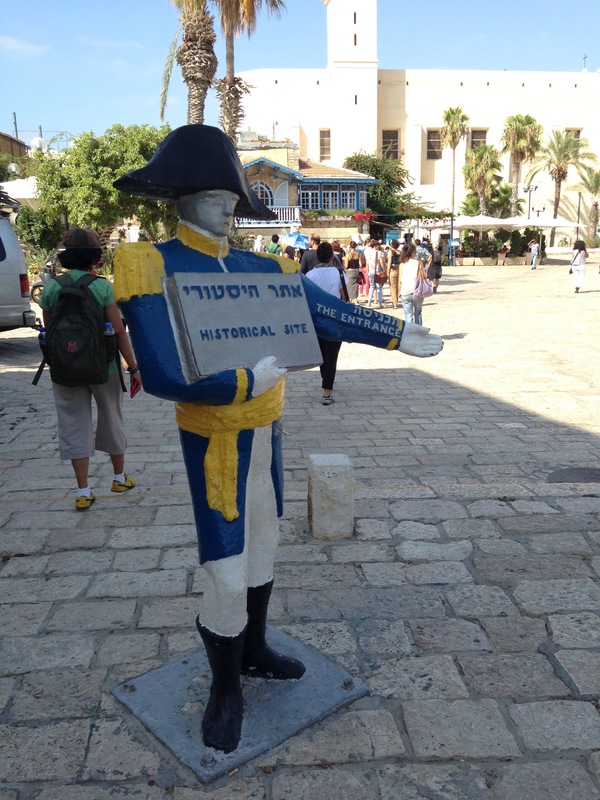 Napoleon welcomes you to Old Jaffa Visitor’s Center. Source: Melissa García. This brief snapshot of Jaffa’s colonisation by Israel shows the depth of its roots, and is symptomatic of a multitude of other processes across Israel and in settler colonies in the occupied West Bank. Dispossession is intertwined with the demolition and recreation of urban environments, erasing identities and livelihoods of the Palestinian people, a process based in destroying certain histories while celebrating others. 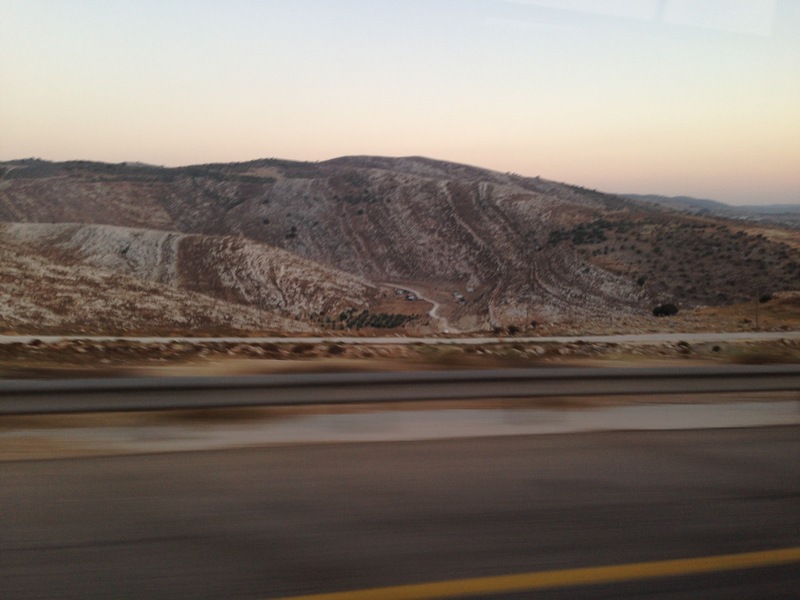 *This is the second part of a series on experiences of several ENTITLE fellows during the International Conference of Critical Geography in Palestine. Other contributions can be found here and here.